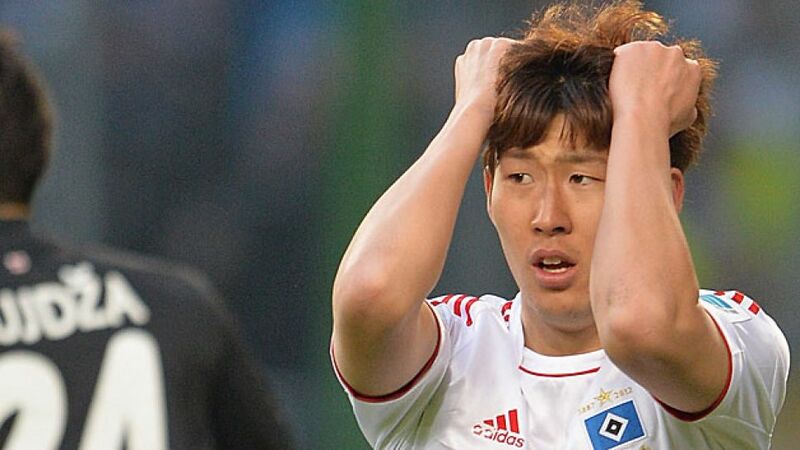 Hamburg - SC Freiburg boosted their hopes of European football next season by snatching a 1-0 victory at Hamburger SV. Jonathan Schmid's second-half strike secured Christian Streich's side the three points in a largely evenly-balanced encounter. Hamburg appeared keen to bounce back from last week's heavy 9-2 defeat to newly-crowned Bundesliga champions FC Bayern Munich, showing great commitment from the off, yet mostly lacking ideas once they approached the final third. Meanwhile, Freiburg's quick passing game repeatedly presented the hosts with problems in the opening stages. The visitors should have taken the lead twice early on when both Jan Rosenthal and Matthias Ginter saw their efforts come back off the woodwork. Rosenthal squandered another scoring opportunity shortly after when the midfielder had only goalkeeper Rene Adler to beat, but failed to get the better of the Germany international. With clearcut chances proving incredibly hard to come by against a stiff Freiburg defence, HSV were forced to try their luck from long range on a couple of occasion, none of their efforts seriously threatening the opposition's goal until just before the half-hour mark, however. Heung-Min Son should have broken the deadlock for Hamburg as Thorsten Fink's men began finding gaps in the guests' defence, but he missed the target despite being clean through on goal. The South Korean did better shortly after, though, forcing Oliver Baumann into a first serious save with his left-footed drive from outside the box, while Freiburg's Max Kruse almost caught the Red Shorts cold just before the break, failing to crown an individual effort. Both sides would have deserved the lead for their lively efforts just after the restart when first Rafael van der Vaart had his stunning free-kick palmed away only seconds before Rosenthal hit the wrong side of the net at the other end of the pitch. Moments later, Son wasted another big chance from Per Skjelbred's beautiful throughball. There was a lull in the game around the hour mark, yet the visitors' breakthrough came in the 69th minute when defender Mensur Mujdza sent Schmid free on one of his rare forays forward, and he had no difficulty slotting the ball into the back of the net from close range for his seventh goal in the current campaign. A second Freiburg goal almost came five minutes later from Heiko Westermann's defensive blunder, Rosenthal again finding himself through on goal, only to see his effort denied by the brilliantly-reacting Adler. Kruse wasted another opportunity for the visitors, while Hamburg twice went close through Son and Aogo as well as van der Vaart as the home side threw bodies forward in search of an equaliser, to no avail.